For this week’s spring program, the Ririe-Woodbury Dance Company will offer three dance compositions – including two world premieres with original soundscapes in music – that imbue the simple Black Box Theatre venue in the Rose Wagner Center for Performing Arts with fresh cultural and emotional energy. 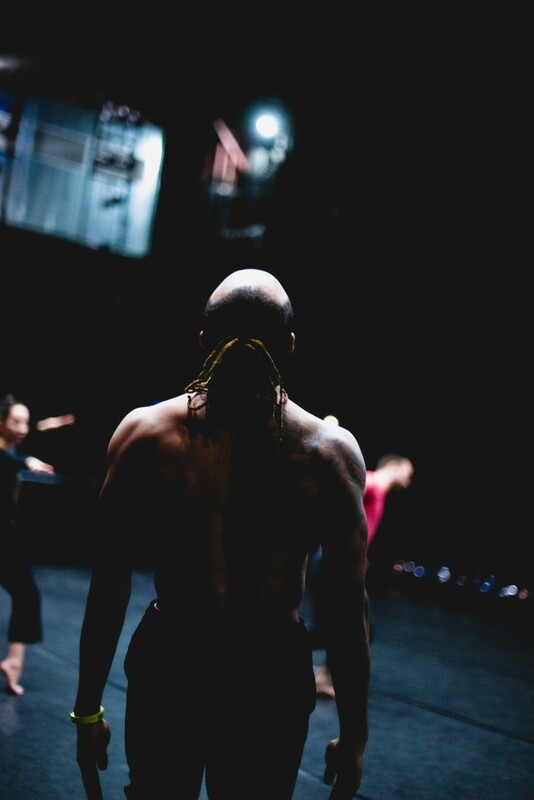 For both performers and audience members, the works are focused on breaking down conventional barriers, encouraging both to perhaps rethink their own awareness of their place and identity. A keen sense of space as architecture drives the composition of Joanna Kotze’s Star Mark, a work the New York-based choreographer developed for the company’s dancers during a two-week residency earlier this spring. 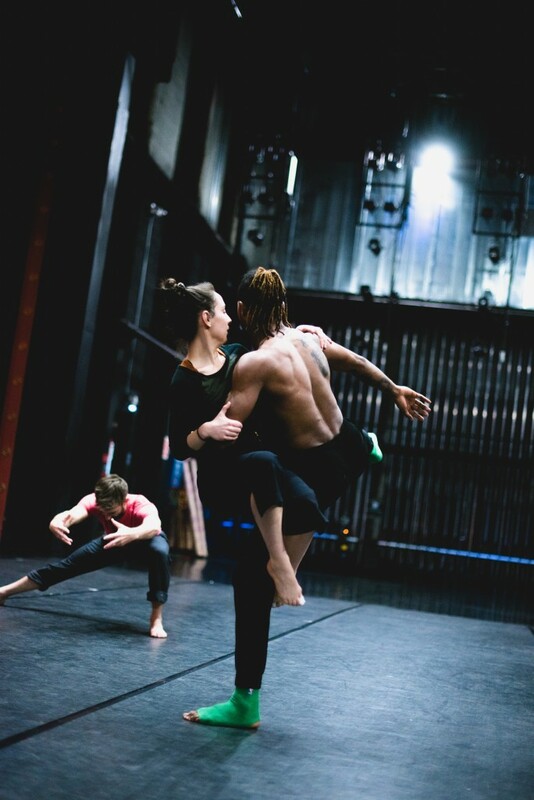 While watching a rehearsal of the work last month, it became immediately apparent that Kotze is focused on creating ever-changing blocks of physically demanding dance movements that tear down the metaphorical fourth wall of dance performance, often bringing the dancers barely more than a foot or two from the audience. Dancers are never stoic, their faces reacting and responding to their viewers, both serious and whimsical. 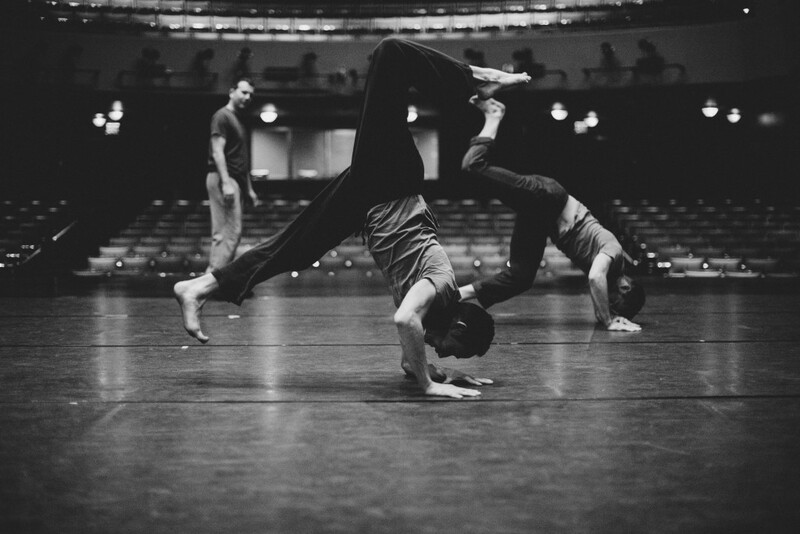 In the rehearsal, the first where a group was invited to observe the work in progress, dancers instinctively translated the choreographer’s abstract themes, using their eyes with the same intensity as their bodies, continuously incorporating the visual cues from each other and, more importantly, the audience’s own eyes and body language. “It is about closing the gap between seeing and doing for the dancers,” Kotze explains, “and for the audience, it gives the viewers a new angle of access – an experience that is overwhelming but in a good way.” With a capacity of 180, the Black Box Theatre will be the ideal venue to tap into the emotional potential embedded in Kotze’s artistic approach. 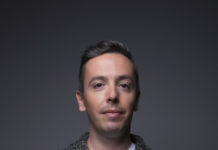 The work includes an original sound score by Ryan Seaton, a New York composer with whom Kotze has collaborated previously. Seaton is a guitarist with the Brooklyn-based experimental pop rock band Callers that also draws heavily upon its experiences in New Orleans. The band known for maximizing the sonic potentials of its limited instrumentation and exploring all types of musical influences including jazz, blues, southern soul, folk and even European ethnic. The sonic effect can be downtempo, meditative, clean and uncluttered, which suits the aesthetics of the Black Box Theatre venue. Kozte’s portfolio is packed with many honors and commissions. 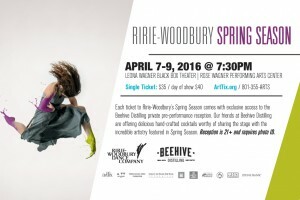 The recipient of the 2013 New York Dance and Performance “Bessie” Award as outstanding emerging choreographer, she has presented work at many prominent venues throughout North America, including The National Arts Centre (Ottawa), Baryshnikov Arts Center, American Dance Institute (ADI), Bard College’s Fisher Center, Toronto Dance Theatre, Southern Utah University and Miami University. In addition to numerous foundation grants, she has held residencies at The Camargo Foundation, Jacob’s Pillow, Baryshnikov Arts Center, Djerassi and the Bogliasco Foundation. Enter, the second premiere slated for the concert, is the second installment of an intended trilogy being created by Daniel Charon, the company’s artistic director, called Together Alone, which uses dance to explore the sociocultural phenomenon of the virtual self in the age of social media and the challenges of overcoming loneliness and false sensations of narcissism and connection in order to find a refreshingly sincere psychological community along with emotional support and intelligence. 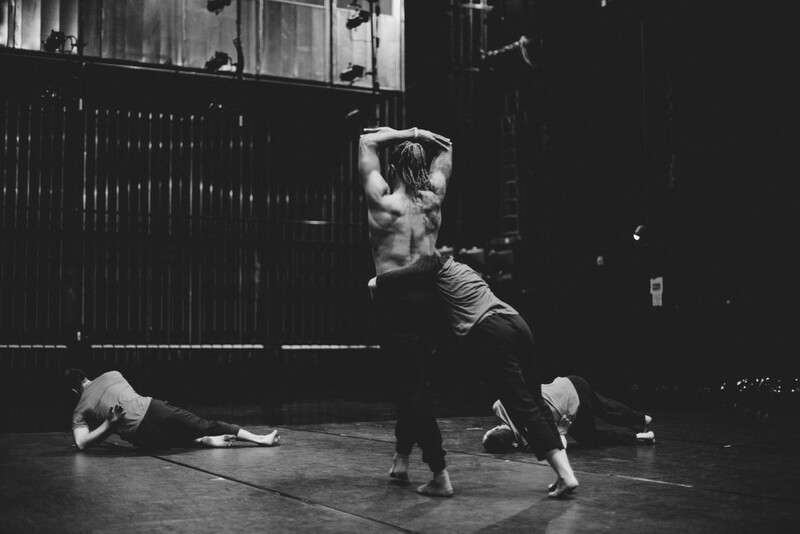 While Charon’s work is more deliberative in its choreography than Kotze’s new dance composition, there are similarities between the two premieres. The audience in the close quarters of the Black Box venue is compelled to observe how astutely the dancers not only rely on each other in their physical movements but how they communicate psychologically, through eye contact and how they are attuned to the audience’s visceral reactions to the work unfolding in front of them. Approaching it from the perspective of how humans evolve as social creatures, Charon says he choreographed the work with scientific and technological concepts in mind, such as duets representing the binary code strings of 0s and 1s as well as the double helix of DNA. “It then opens the door to locate our consciousness – are we still out there,” he explains. Enter, as he adds, then sets the context of how perhaps we can overcome the dread of depression or loss and use our solitude to contemplate and rediscover ways of making meaningful relationships in the digital age without necessarily disconnecting our digital selves. 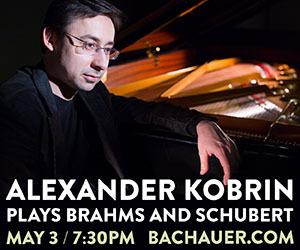 The third work comes from the company’s repertoire that was premiered in 1996. Ann Carlson’s 50 Years, an ensemble piece that combines rhythmic precision with vocals uttered by the dancers, pays tribute to the time it took Utah to move from its status as a territory to its admission as a state. The work is choreographed to take place on a desert floor, as the dancers representing pioneers and settlers recycle repeatedly through their travels of searching, discovering and fleeing, while experiencing alternating emotions of happiness, love, frustration and disappointment. Carlson, who graduated from the University of Utah’s modern dance program 40 years agp, embodies the adventurous artistic approach that founders Shirley Ririe and Joan Woodbury conceived when the company started 52 years ago. Influenced in her formative development by the likes of Murray Louis, one of the most seminal American choreographers, Carlson is known for dance works as fearless, captivating and substantive performance art, which often incorporate vocalizing, acting, props and animals including horses, dogs, cats, cows, fish and goats. Doggie Hamlet, for example, includes a flock of sheep being herded by a dog and four human performers. Last year, at UCLA during a faculty residency, Carlson observed and ‘collected’ the gestures of more than 100 students and employees on campus for her work The Symphonic Body – including athletes, professors, drummers, designers, administrative staff from multiple departments, facilities workers, researchers, vice chancellors, coaches, librarians and others. However, the symphony does not comprise instruments but instead distinct portraits of gesture, that define the vocabulary of movement for each performer as generated by Carlson’s observation of a particular individual. She also has a prolific creative record with more than 30 dance commissions and major honors, including a 2015 Doris Duke Performing Artist Award in Contemporary Dance, five Multi-Art Production Fund Grants, a USA Artist Fellowship, a Guggenheim Fellowship, a New York Foundation for the Arts Fellowship and a Fellowship from the Foundation for Contemporary Art.